The case, in titanium, measures 39mm x 11.5mm. It has an AR-coated sapphire crystal and a sapphire display back. 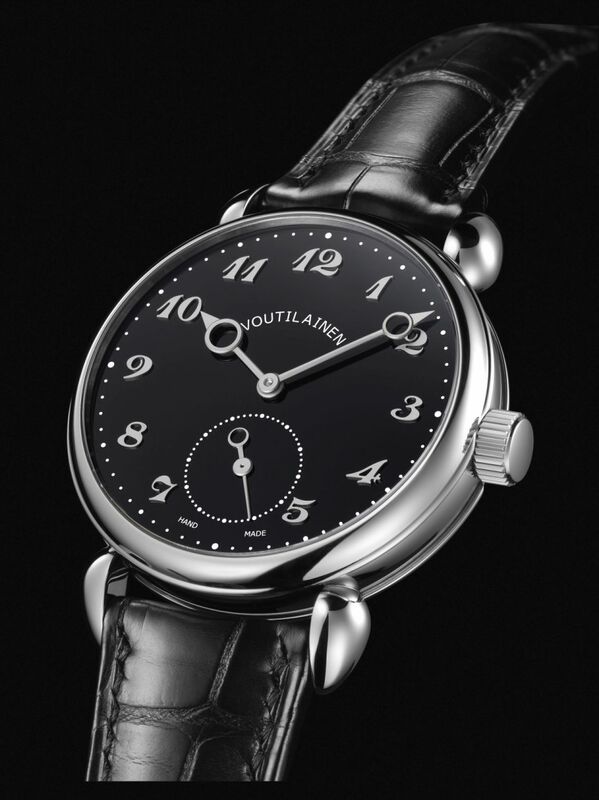 Movement is a Swiss manual-wind designed, constructed, fabricated and assembled by Voutilainen in-house with 21 jewels, 18,000 vph, and a power reserve of 65 hours. Functions are: hours, minutes, and small seconds. 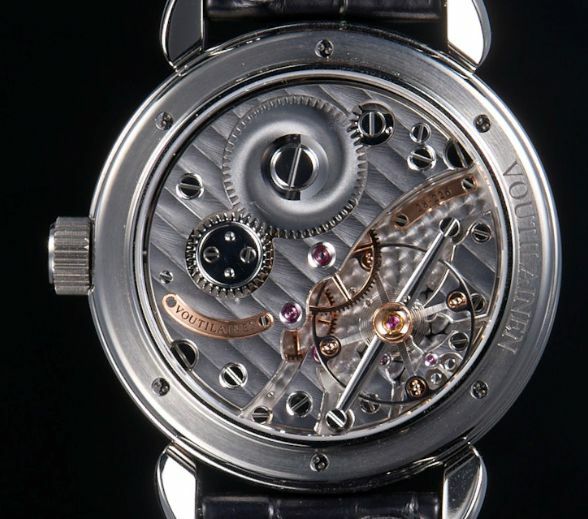 The movement is unique, with a very large balance wheel and a balance spring that uses a typical Phillips overcoil on the exterior and a Grossmann curve on the internal curve. There are two synchronized escapement wheels, which give a direct impulse to the balance through the impulse roller, a system that uses less energy and has greater stability than traditional lever escapements. It is finished by hand, including the main plate, bridges, screws and all steel parts, two escapement wheels, main plate and bridges in German silver, wheels in rose gold. It has a solid gold dial covered with Grand Feu enamel. Stylized Arabic numerals with large pomme-style hands. It comes on a black hand sewn crocodile leather strap with a titanium buckle. Loving the funky arabics. Will get a lotto ticket in the morning.